When Porsche Winter sees a she-devil in a downtown bar, she knows it can only mean trouble of the worst kind. For this is not just any ordinary demon-it's Naamah, Lucifer's second-in-command. At first Porsche assumes Naamah's visit is a coincidence. But when the Four Horsemen show up, Porsche realizes that the Apocalypse is imminent. 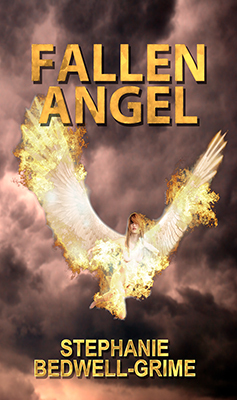 Having been stripped of her angel powers and superior strength, defeating the Devil's forces isn't as easy as it used to be. Still Porsche is determined that Lucifer won't be getting a foothold on Earth-at least not in her town. So it falls to Porsche, her handsome squeeze Alex Chalmers and bumbling matchmaker Cupid to save every soul on the planet.